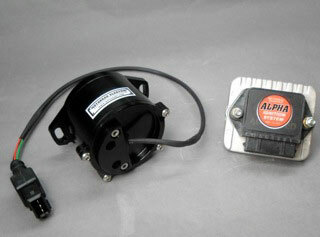 The Alpha V.3 ignition is a fully digitally controlled system that eliminates the points, condensor, and mechanical spark advance unit of the original design. The extreme accuracy and consistency effectively eliminates the timing errors that are typically built in to the original parts. Gone too are the blurred or double-imaged timing marks that almost always indicate the amount of difference in timing between cylinders. The power delivery is noticeably smoother and crisper, especially at higher speed. Starting is much easier as well. Installation is a breeze with only hand tools needed, and a strobe timing light to get it right. 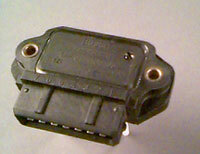 The wiring connectors on the included harness are the factory-type with easy push releases. There are only 3 other color-coded wires that are attached to the coils, and that's it. 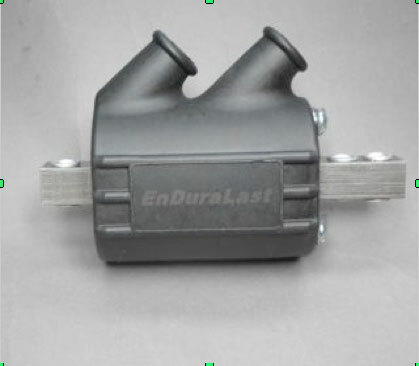 The ignition module is the same as the latest design specified by BMW for Airheads but with added hardware inside to control the spark advance as well as coil control. The module is permanently riveted to the large base so there's no longer any need to disassemble and renew the heat sink paste as before. The ignition module mounts horizontally under the frame just in front of the seat via the rear fuel tank mount lower nuts. The mounting brackets are nicely formed stainless steel as are all the supplied fasteners. The sensor plate is very precisely fitted with a Siemens magnetic sensor switch (Hall sender) that has proper high temperature wiring routed through a new ventilation/wiring rubber tube. 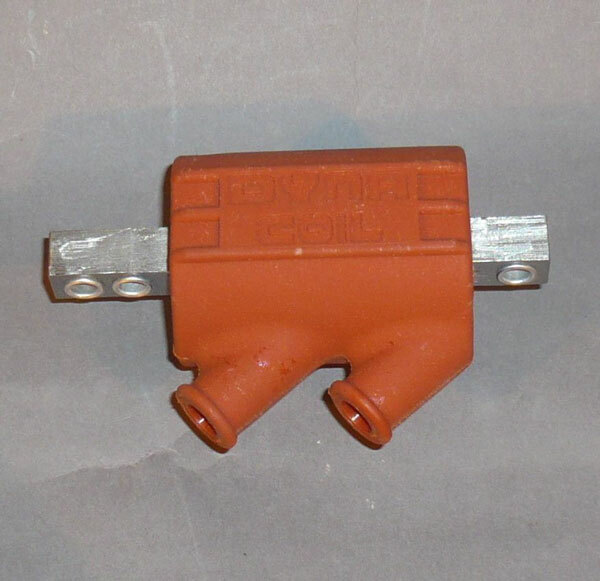 The factory-type quick disconnect on the end is made from a modern, much-improved plastic material which will not deteriorate and fail like the originals often do. This is simply the best, easiest to install, and most cost effective way to restore, repair and update the original ignition system. This high-quality Hall sender system is an exact replacement for the original parts on all 1981 through 1995 Airheads. 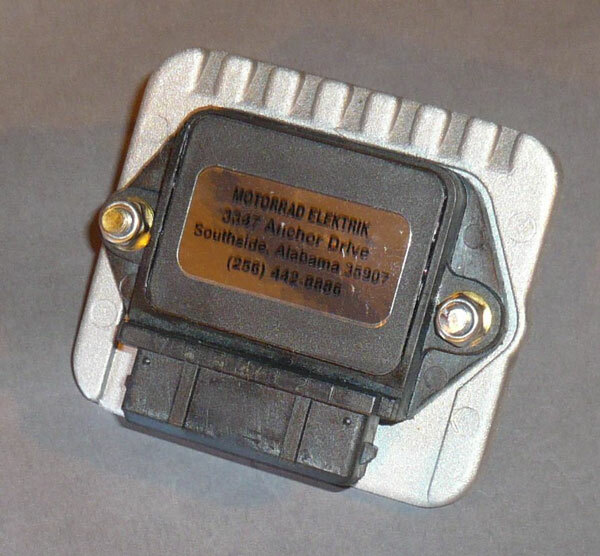 The original Hall effect electronic ignition system fitted to the BMW twins from 1981 through 1995 was far from optimum, even by 1981 standards. 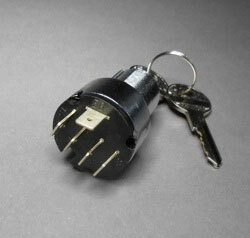 By this time, digitally controlled ignition systems were common on autos and motorcycles. BMW continued to use a "half-way house" electronic ignition that relied on mechanical bob weights and springs to control the spark advance curve , all the way to the end of production in 1995. Mechanical spark advance control is not necessarily bad, unless it is non-serviceable which was the case with the parts BMW used. The marginal internal lubrication of the moving parts tends to go away after some years, very often resulting in a sticking advance unit and worn pieces. This was usually evidenced by the idle speed sticking at 1500-2000 RPM or hard starting.The ignition Hall sender unit did not evolve or change one bit in 14 years. The price DID evolve, ever upwards, to the current (Sep. 09) price of $514.49! This high-quality Hall sender system is an exact replacement for the original parts on all 1981 through 1995 Airheads. Requires NO modifications or rewiring, with no need to change the original coil(s).Bolt it on, plug it in, and set the timing-nothing difficult for the home mechanic. All of the housing parts are CNC machined from billet aluminum. The short, rigid steel drive shaft is supported on both ends by SKF ball bearings, which are held in place by common circlips. All O-rings, seals, and bearing seals are made of high temperature Viton material. All the fasteners are stainless steel socket head screws. Installation is a breeze and requires NO modifications. The new ignition control module is the latest heavy-duty type with the very thick heat sink mount. The digital processor controlling the advance curve is integrated inside for totally plug and play installation. Startup 6deg. BTDC,maximum advance of 32deg. for a total range of 26deg. Advance begins at 1400 RPM and maxes out at 3000RPM. Startup is still 6deg. BTDC, advance begins at 1400RPM but is limited to 22deg. of total advance range. The only difference in the single plug and dual plug systems is the control module. Since it's all plug and play it will be a snap to convert a single plug to dual in the future with just a new module, which is sold separately. Dedicated wiring harness and factory-type connectors makes for a very easy install. NOTE: Requires changing the coil(s) to 1.5 ohms total primary resistance, such as the Dyna brown coil. Spark plug wires must have 5K ohm resistor caps for protection of the other ignition parts. Airhead for the long haul ahead - What you've come to expect from Motorrad Elektrik. 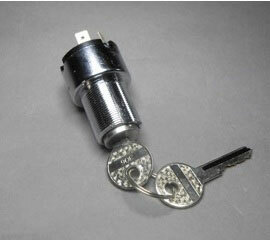 Ignition Switch - NLA from BMW! Comes with 2 keys. These switches will replace any threaded-ring mounted switch. 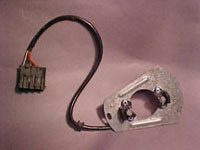 The 3-position switch is also useful as a headlight switch on machines that did not have one. Excellent quality reproductions that will keep the function and look of the stock design. 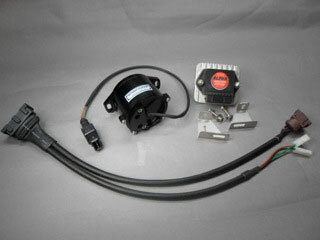 Available in 3 types with 0.7ohms, 1.5ohms, or 3ohms primary resistance for all types of ignition system requirements. Comes with mounting bracket and fasteners. WHICH COIL DO I NEED? 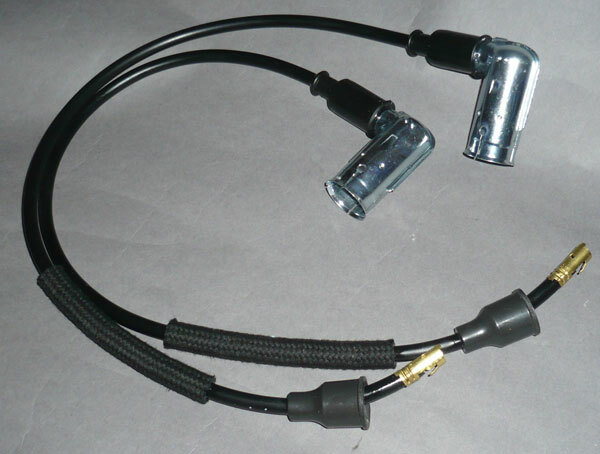 Choosing the right Dyna coil for your BMW: The type of ignition system fitted on the bike will determine the coil or coils needed that best match the system requirements. The resistance value of the primary winding must be closely matched to the original specifications. 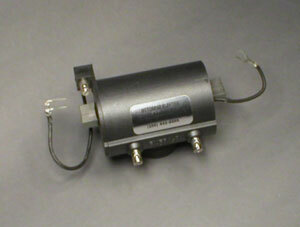 GREEN coils have 3 ohms primary resistance, Single coil for 1970 - 1980 models with points. BROWN coils have 1.5 ohms primary resistance,for 1981 through 1995 Airheads with EARLY, SMALLER ignition module and single plugs. BLUE coils have 0.7 ohms primary resistance, for 1981 through 1995 Airheads with HEAVY-DUTY ignition module and single plugs. Brand - New, Genuine BMW Part. Fits all R1100, 1150, and 850 four - valve models . 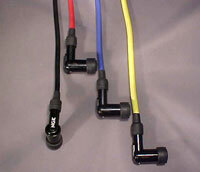 These plug wires are no longer available from BMW, but these are exact duplicates of the original wires that came on the early Airheads,constructed with parts from the original suppliers to BMW.They have the correct 1K ohm resistance and the braided-cloth-covered length of fuel line for abraision prevention.Ready to plug in at both ends and renew the performance and looks of your classic! 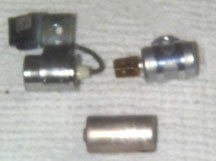 REPLICA PLUG WIRES for R65,R80G/S, and R100GS : Same as described above,but the plug caps are 5K ohm for electronic ignitions. 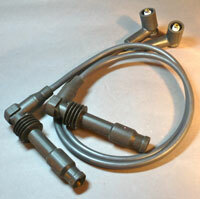 Spark Plug Wires are frequently overlooked as a cause of hard starting or poor performance. Bad spark plug wires can damage magneto coils on vintage BMWs as well. These wires are correct in appearance and in function and have 0 ohms resistance to keep the mag coil cool. All wires come with 5k ohm NGK caps (as shown). Fit Airheads only. Same quality materials and correct coil connector as on the 4 cylinder wire sets.Keep that K75 running like an atomic clock. 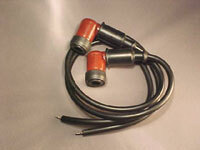 These spark plug wires are made from very good quality jacketed copper cable, with the correct 5K ohm resistor in the NGK caps. The caps are correctly sized for a snug fit on the 12mm sized K plugs made with the screw-on terminal nut on the end. The coil ends are the correct brass barrel - end type for the K100, and clip-on types for the center stud terminal found in the K75 and K1100 coil sockets. Thick rubber boots at the coil end keep moisture away from the connectors inside. 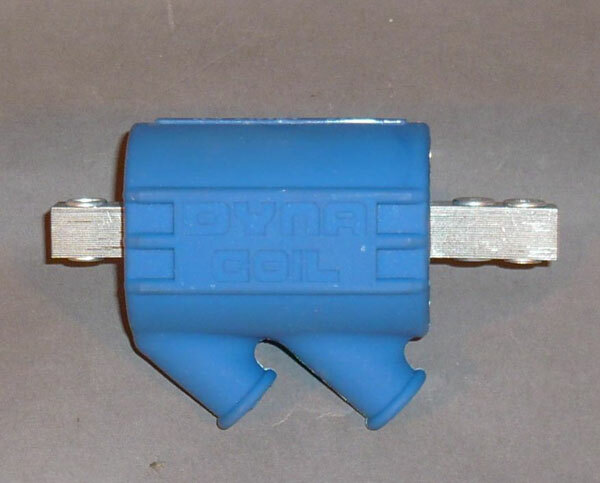 The air-gap coil connectors aren't cheap, or easy to find other than expensive original BMW parts. By using the exact correct part, easy fit and long service are assured. Why pay the exorbitant factory price, when these wire sets can restore smooth running and efficiency to an engine suffering with 23 year old plug wires? Do you run your car plug wires for 20 - plus years? Didn't think so ­ but if you do, the car needs help too! These top-quality replacement wires are constructed from highest-quality components that are the same as used by the original equipment manufacturer. 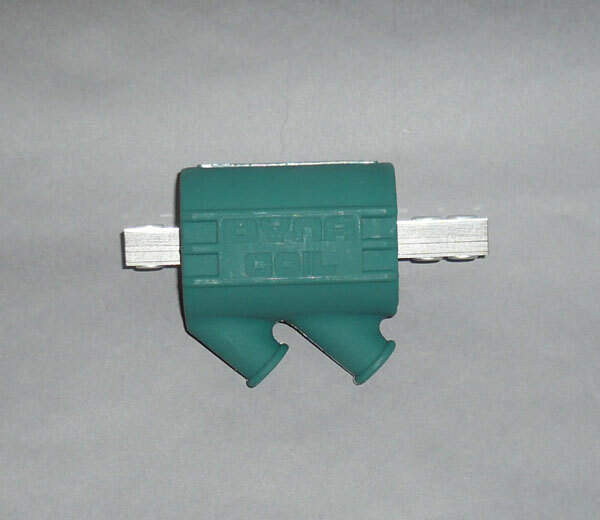 The plug caps are the CORRECT 90 degree bend, with grab areas for the removal tool found in the tool kit. This pair of wires costs the same as ONE wire does from BMW. Bosch plugs are no more. Happily NGK fills the gap with the proper plugs to keep your Airhead, F650 and K-Bike motoring along. 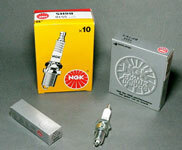 NGK spark plugs are made to the same level of quality, and incorporate all the same important design features of the original Bosch part. This is the same control unit now being sold by BMW as the replacement for all previous versions. It incorporates a massive heat sink to better deal with issues caused by over-heating. The module is permanently riveted to the heat sink to insure clean surfaces for proper heat transfer, so there is no recommended maintenance as on the earlier designs. 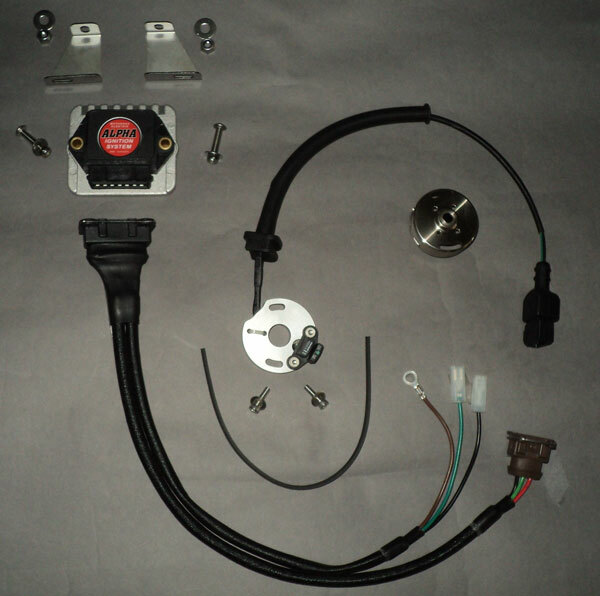 The ignition control module now controls the dwell time independently of the Hall sender,to improve the sometimes uneven startup and cold idle,especially. This also helps maintain accuracy as the old original parts in the Hall sender may wear. 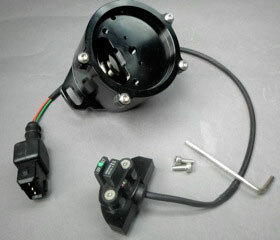 The heavy-duty ignition control unit comes with a genuine BMW mounting bracket for easy, bolt-on replacement. The original harness connector plugs right in, just like stock. Great replacement for the ever-aging and failure - prone original magneto coils. Almost all of the original coils are now failing routinely. A sure indication of this progressive failure is hard starting when hot. As it gets worse, there may soon be misfiring at high speeds as well. These coils are of modern, improved design and manufacture for a perfect fit and restored reliability. Made with an external ground wire connection for increased reliability , and the high-tech resins and plastics used in their construction means they should help keep your bike around for the next 50 years. Make it right with a new condensor, $8. Original BMW parts for long life.